Persimmon Ridge is located off of Aiken road at the corner of Shelby, Jefferson, and Oldham Counties. Take I-265 (Gene Snyder Freeway) to the Old Henry Road exit 29. Go East on Old Henry Road and at the next intersection, turn Right onto Bush Farm Road (which becomes Aiken Road). Continue 4 miles, going through one stop sign, to the Persimmon Ridge Entrance, which will be on the left. The natural lay of the land allowed golf course architect Arthur Hills to create a masterpiece of golf course design, which won the prestigious Golf Digest 2007 Outstanding Design award. The 18-hole Championship Golf Course takes you through woods, over creeks, around lakes and through a 120 foot elevation change during your round. 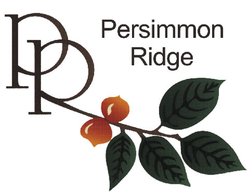 Persimmon Ridge is ranked one of the most challenging golf courses in the region. QUESTIONS: Call David Heyne @ 992-2827 or Roger Adkins @ 636-2171. This event is organized by the local AIA and CSI Chapters for members, supporters of Habitat for Humanity, friends, and guests. Please note your affiliation on the form below. You may enter as a team, a partial team or as an individual. Refer to Sponsor sheet for other opportunities to support this event. Proceeds support Habitat for Humanity of Metro Louisville. The CENTRAL KENTUCKY CHAPTER OF THE AMERICAN INSTITUTE OF ARCHITECTS and the LOUISVILLE CHAPTER OF THE CONSTRUCTION SPECIFICATIONS INSTITUTE are soliciting sponsors for our annual AIA•CSI Charity Golf Scramble. Last year we were able to donate more than $2,800 to Habitat for Humanity of Metro Louisville. We thank the firms who have sponsored this event in previous years. This year’s event will be held at PERSIMMON RIDGE GOLF COURSE which is located in western Shelby County off of Aiken Road, 25 minutes from downtown Louisville on MONDAY, 26 AUGUST 2013 at 1PM. See player registration form for directions. The types of sponsorships vary and we will try to accommodate your specific selection. There is a discounted rate for those companies who have local AIA or CSI members employed. The attached form gives you options to consider. Include your company logo in jpg format if you would like it included in the program. Please consider a donation of tees, balls, umbrellas, towels, or any other item and contact Roger Adkins or David Heyne, if you have any questions. We request that the value of the item(s) be at least $25 in order to be given as a door prize. Also enclosed is a registration form for the Scramble. Return the sponsor form with your request indicated in the right column to Roger Adkins, or call as soon as possible. The DEADLINE for sponsorship is Friday, August 16, 2013 in order to meet publication deadlines.